What Are Isofix Baby Car Seats? - Which? Isofix is designed to make installing a car seat for your baby or child quick and easy. 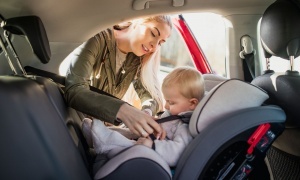 We know from our research, as well as fitting checks carried out by car seat safety organisations such as Good Egg Safety and Child Seat Safety, that parents and retailers regularly make errors when fitting child car seats into a car. There's been a 47% increase in the number of incorrectly fitted baby car seats over the past eight years, according to Good Egg Safety. In spring 2014 we asked 42 major stores from all the major baby product retailers to fit two car seats. Most made mistakes, some of them worrying ones. 90% of stores we investigated failed to fit our test car seats correctly. Using an Isofix baby car seat removes the potential to make many of these mistakes. To find the Isofix car seats Which? recommends, visit our Best and worst Isofix baby car seats. 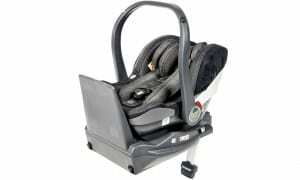 Isofix is a child car-seat attachment system that uses metal anchor points built in to the chassis of the car. The Isofix connectors from your baby or child car seat fit on to these. The anchor points are often hidden within the car's seat padding. On some car seats, the Isofix connectors are part of the seat itself. With others, you have to buy a separate Isofix base to install into your car, and your seat will click on to this. Once the connectors are clicked together with these anchorage points, a baby car seat has to be secured by a third point. This can either be a support leg, which comes built into the seat or seat base, or a top tether (a strap that attaches to a mount somewhere behind the rear seat). Both of these work to prevent the car seat tipping forward in an accident. You can find Isofix on baby car seats (Group 0+. I-Size), toddler car seats (Group 1, i-Size) and Group 2/3 child car seats. Do all cars have Isofix? No. The first car to have Isofix was the Volkswagen Golf IV in 1997. Since 2004 Isofix has become more widely offered and now all new cars have Isofix on at least some of the back seats. Top tether anchor points for baby car seats have come as standard in cars since the end of 2012. Do all Isofix seats fit in Isofix cars? No. Not unless you have an i-Size seat and i-Size car. For more information, please read our i-Size advice. You will still then need to check whether a car seat fits your car and any other cars it might be used in. Most of the main manufacturers have a fit finder, which is a good starting point, but it's still really important to actually try out the car seat in your car before you buy. Visit our guide on how to fit a child car seat for tips and checklists. A top tether is a fabric strap that’s used to help secure a baby car seat (or extended rear-facing car seat) to a tether anchor point in the car. The tether point is usually found in the boot somewhere, but not always, so refer to your car’s manual to find out where it is in your car. If the design of your car prevents you from using a car seat with a support leg (if there are underfloor compartments in the back, for example) you can use a top tether strap instead. It stops the car seat pivoting forwards in a crash and helps to absorb some of the crash forces. When securing the top tether, it’s vital to make sure you’re attaching the strap to the correct anchor point in your car. Sometimes a tether point can be mistaken for a headrest stem or luggage tether fixing. (Neither of these is meant for use with a child car seat and is not designed to withstand the forces of a crash). All cars manufactured since November 2012 have to have top tether anchor points, but some much older cars will have them, too. What is an Isofix support leg? Many baby car seats are used with an Isofix base (either included with the car seat or bought separately), which is permanently installed into your car. You just click the baby car seat on and off. The base will use a support leg that extends from the seat’s base to the car’s floor and locks into position. It’s designed to prevent your baby car seat from tipping forward in a crash. Most car seats or seat bases with a support leg have something visual, such as a green or red indicator or an audible guide that will bleep at you if the leg is set to the wrong length or installed correctly. If there are underfloor storage compartments in your car, you may not be able to use a seat with a support leg. This is because the lid of an underfloor storage compartment will not be strong enough to support a car seat in a crash. Some cars may allow the use of a support leg resting on an underfloor compartment. It is vital you ask your car manufacturer what it recommends and check each car seat on a fit finder to check for your make and model of car. You’ll usually find Isofit connectors on only Group 2/3 child car seats. They do a similar job to the Isofix connectors you may be more used to on baby and toddler car seats, in that they connect to the Isofix anchor points on the back seat of your car, but they look a bit different. Isofit connectors are more like large hooks on the end of flexible arms or sometimes straps (rather than the rigid arms of Isofix connectors). The Isofit connectors hold the seat in place, while the car’s adult seat belt secures your passenger into the child car seat. The Isofit connectors on a Group 2/3 seat don’t work in the same way as Isofix works for baby or toddler car seats. They’re not designed as a path for the forces of a car crash. They’re used to mainly keep the seat in place when it’s not in use, so it doesn’t fly forward and hit you if you have to brake suddenly and have forgotten to secure the seat. An unsecured child car seat becomes a very heavy projectile in an accident. For a Group 2/3 seat, it’s the adult seat belt that helps distribute the force of a crash away from a child’s body. Isofix connectors on a Group 2/3 seat don’t work in the same way as they do for baby or toddler car seats. They’re used mainly to keep the seat in place when it’s not in use, so it doesn’t fly forward and hit you if you have to brake suddenly. It’s the adult seat belt in a Group 2/3 seat that helps distributes the force of a crash away from a child’s body. Some Group 2/3 car seats have Isofit connectors, rather than Isofix.